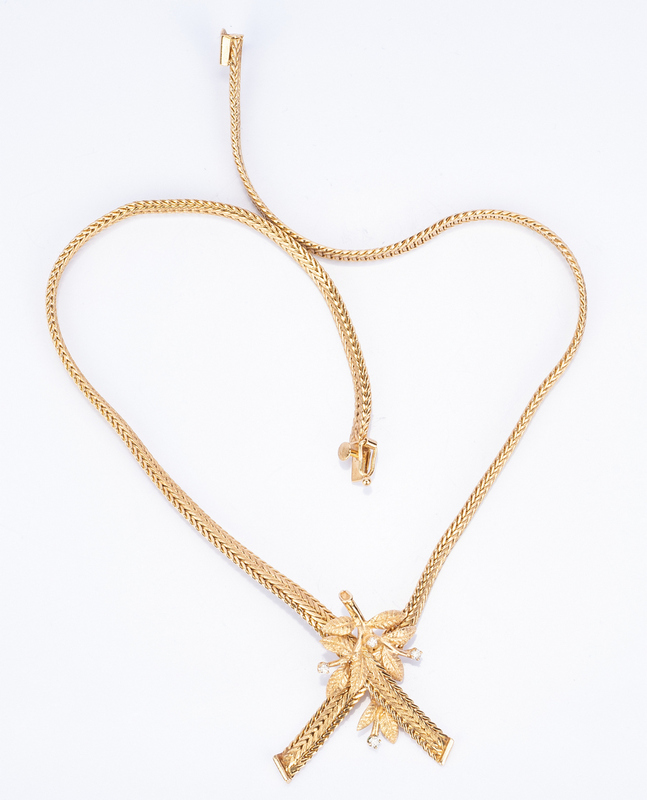 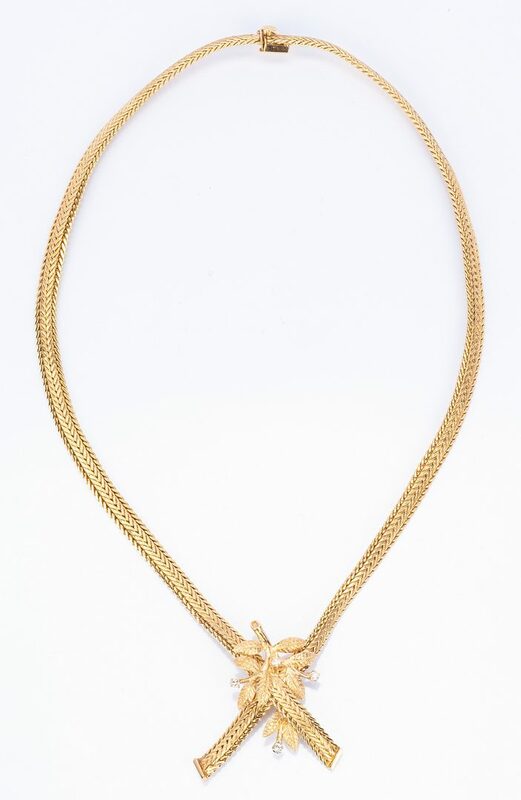 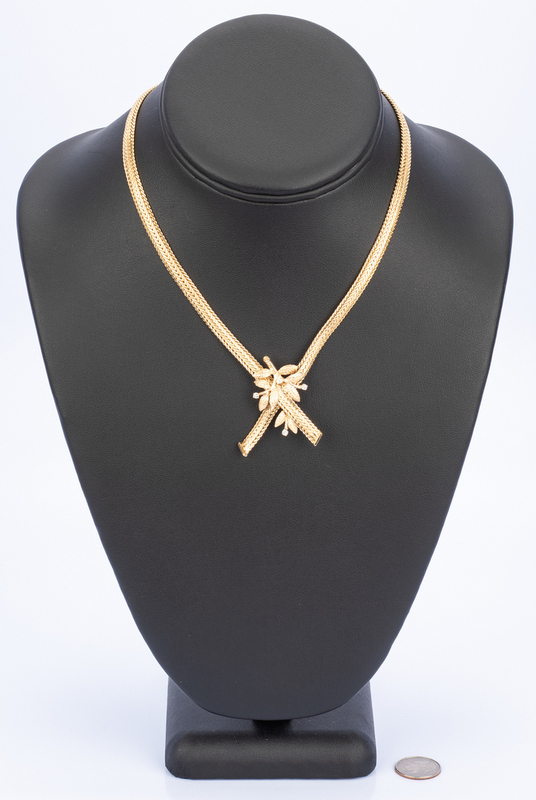 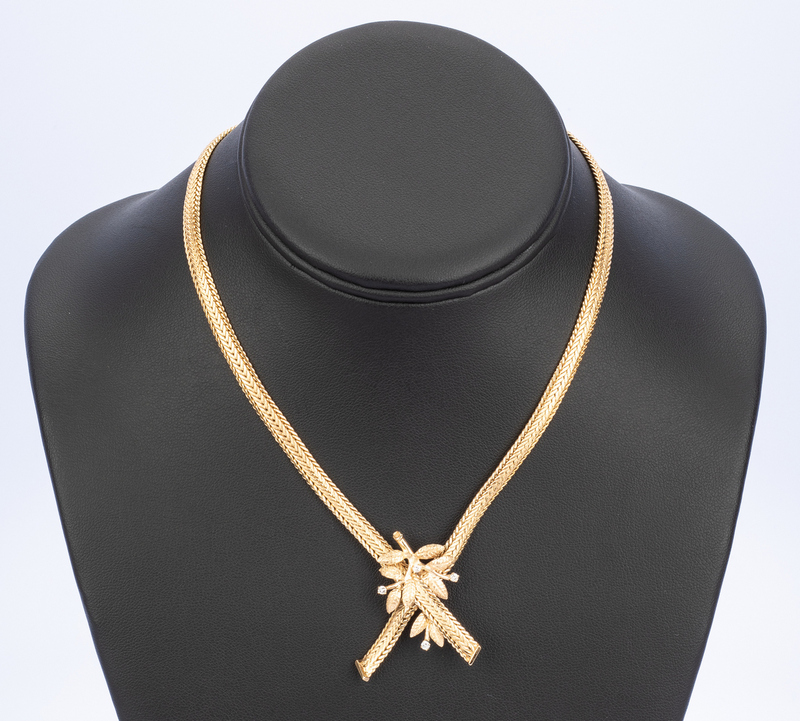 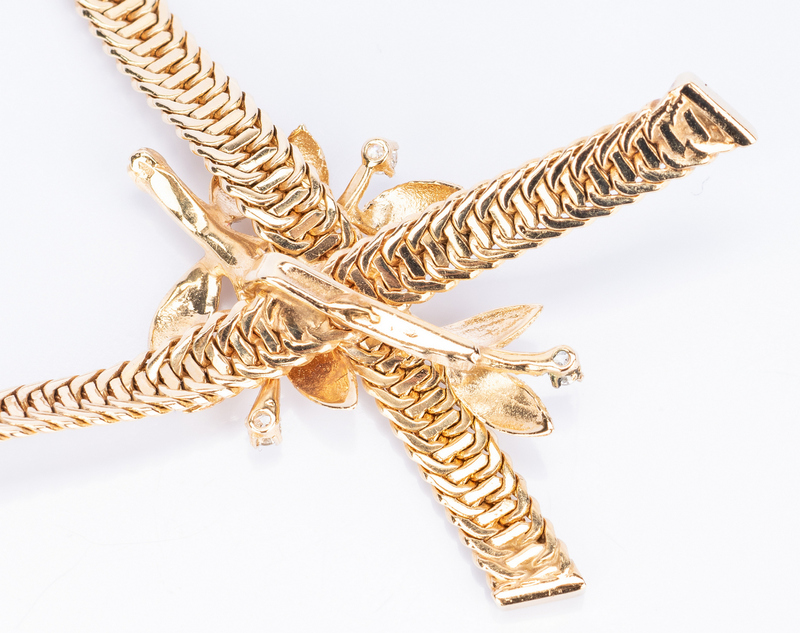 14k yellow gold choker necklace consisting of two crossed over serpentine chains (3/16" wide) highlighted at the center by 14k leaf branch containing 4 single cut diamonds, strands measure 8 3/4" and 9" L with 15" opening. 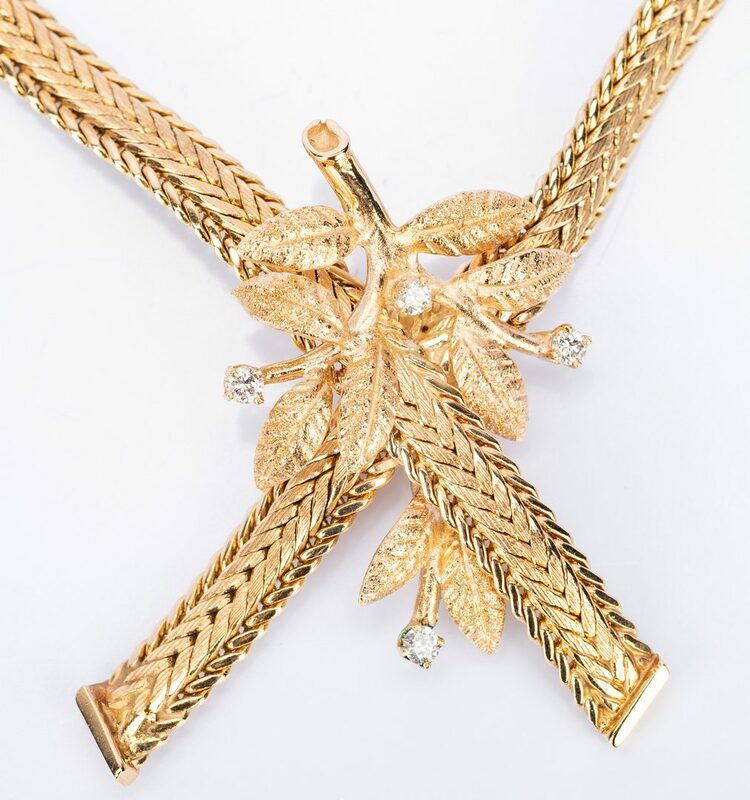 Leaf branch likely former enhancer. 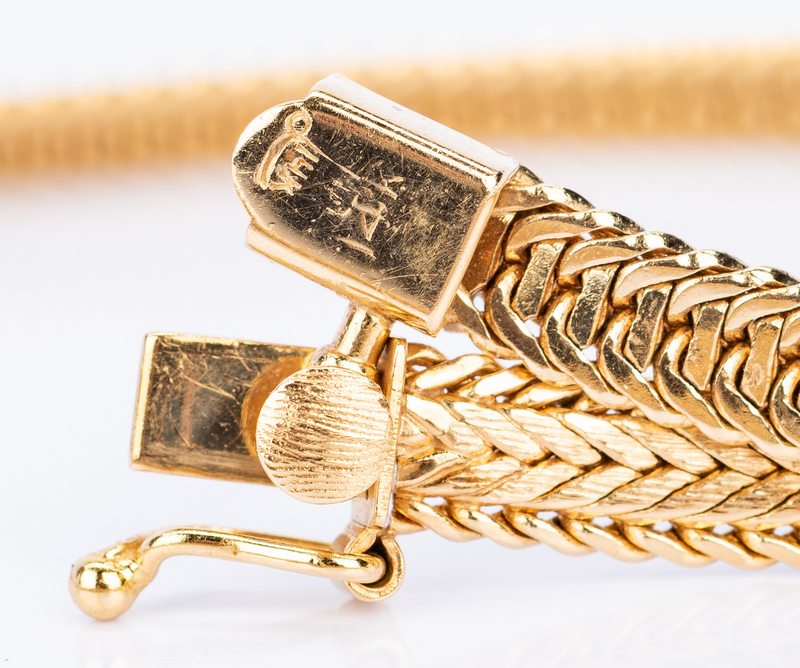 Marked 14K on clasp with safety clasp. 29.3 grams. CONDITION: Overall very good condition.